Crest Seeds has arranged with Goldmix to launch their high quality bird seed mixes and grains into retail stores. Blends are manufactured in Toowoomba with mixes formulated with the assistance of bird breeders. Packages are 1kg, 2kg, 4kg & 20kg bags. Goldmix prices are very competitive. The team at Crest Seeds sets an extremely high standard for product quality, manufacturing efficiency and are totally committed to achieving industry-best practice. Their continual assessment of the product range safeguards the end result of supplying superior materials. Budgie, Canary, Finch, Parrot, Pigeon, Small Parrot, Wildbird. 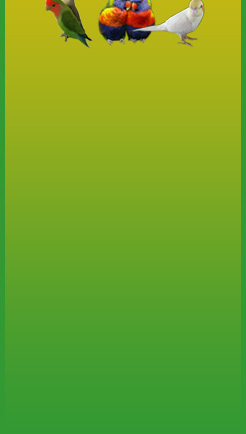 Breeders mixes are manufactured for budgie, canary, finch, and parrot. White french millet, Dunfield peas, Maple peas, Mungbeans and Vetch. Established in 1958. Australia's largest manufacturer of pet products with over 300 lines. Exporting to over 20 countries. Now a joint venture between Masterpet and Beaphar. beaphar group of the netherlands Aristopet Products for dogs cats birds fish rabbits guinea pigs rats mice hermit crabs tortoises reptiles snakes pythons lizards australia manufacturer of pet products shampoos conditioners colognes joints medications wholesale selling to retailers eagle farm brisbane queensland. Bird Seed. Attract wild birds to brighten your backyard. Premium quality and nutritious, essential supplement for your birds' diet to keep them healthy. Your birds will love our Stephen Bros Bird Seed which is from genuine Grey Stripe Sunflowers grown on our farm. Pet Accessories Australia are direct importers and wholesale distributors of a large range of everyday items for most pets. We also have many unique products if you are seeking something different for your customers. Our aim is to provide products from the very best manufacturers around the globe, guaranteeing all items are of the highest quality whilst providing extremely good value for money. At Pet Accessories Australia we know the importance of providing excellent service to our clients - so when you become an authorised retailer we truly honour our partnership. Enquiries welcome. Indoor lighting for birds to increase fertility and wellbeing of pet and aviary birds. Low cost Australian product. 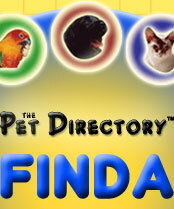 National Distributor of Bird Products to the Pet Industry. We proudly stock and supply Avione, Aristopet, Avico and many more top brands. Along with toys, cages and medications for your birds needs. NOW AVAILABLE THROUGH ANIMAL SUPPLIES. Great quality has never been so easy to obtain! Charters Towers Produce "The Blue Store"
Pet Supplies and Farm Produce. Specialist Manufacturer & Direct Importer of Bird Cages & Accessories. Comprehensive Range - High Quality - Low Prices. Wholesale Only. Dealer enquiries welcome. Jens Pet Products is a Melbourne-based family business with unique and handcrafted products, original ideas and quality service for more than 50 years. We are pet product wholesaler, distributor and manufacturer. Jens Vet Products was the original name owned by Roy and Josie Reed in the early 1960s. We still make the original recipes, handmade with local and imported quality ingredients. In 2003, the business Jens Vet Products was acquired by Trevor Double and his sister Pamela, who have three generations of experience in the pet industry. From 1933 to 2001, Bill Double Senior and his son, Bill Junior had a Pet Shop in The Queen Victoria Market in F Shed. Trevor and Pamela both worked there as children, growing up to then manage the business for many years. Jens was incorporated in 2005 and changed the name to Jens Pet Products Pty Ltd.
We are always looking for new ideas and finding the best prices. Jen’s also has links to some of the major pet supply companies to compliment and offer more variety. We guarantee Quality. Come visit us in our factory warehouse. Please call to make an appointment, We are happy to arrange after business hours for your convenience. Jens Wholesale Pet Products Wholesale Pet Supplies and Wholesale Pet Online. Catering for Dogs Cats Birds Small Animals Reptiles and Fish. We are a Pet products manufacturer located in south of china, Shenzhen city, Founded in 2006,our company covers an area of more than 4000 square meters specializes in all kinds of, pet product(bird cage, bird house ,bird nesting box,chicken coupon, dog kennel. Cat climbing tree, rabbit hutch,cat enclusure , bird feeder and garden goods ( bench and chair, shed fence, wooden house flower planter, gazebo) Meanwhile we have our own tree farms and wood processing plant in the mainland of china. you can visit our website www.hoxpet.com for our company information also. For your available project item. We are also able to offer our OEM service at the best price. Jolly Ropes Australia Pty Ltd has been manufacturing Horse leads & Dog leads and toys for 10 years. With Patents on many of our products. We supply Pet shops throughout Australia & New Zealand, also hardware stores. Jolly Ropes has won awards for best new design at Australian pet expos. Our Jolly Garden and tree ties are sold throughout Australia & New Zealand by the largest Hardware stores in the country. We are looking to expand to the overseas market.Our goal is to produce the highest quality products at a very competitive price.All products are made from high quality 100 percent cotton. Parrot Toys and Supplies Distributors of The Parrot University and Starbird products in Australia. Sizes Extra Small (baby bird) to Extra Large - We also have Budgie and Love Bird's Size! Does not inhibit preening, movement, or flight. No more “funny stains” down the back of your clothes, or poop to clean off the furniture and floors. Stocking a wide range of heated and comfort pet beds, dog, cat and bird accessories. Wholesale enquiries only most welcome. wholesale dog pet bird cat products australia victoria melbourne manufacturers importers dog cat beds bird accessories dishes "heated dog beds"
"Australia's Premier Distributor to the Pet Industry"
Premier Pet (incorporating Bay Fish) is Australia's leading distributor of live aquarium fish and pet and aquarium products. The core focus of our business is to bring the best Live Fish, as well as Aquatic, Dog, Cat, Bird, Small Animal and Reptile products from around the world to Australian retailers. The genesis of Premier Pet started as Bay Fish wholesaling live fish in South East Queensland in 1978. The business, now known as Premier Pet, has now grown to be one of the largest pet industry distributor in Australia. Whether your store is the local pet shop or a National chain, Premier Pet and Bay Fish has everything your customer needs to exercise, pamper and care for their pets. We understand that every shop is as unique as its customers, and as such, we pride ourselves on personalised customer service. Premier Pet delivers Australia-wide and orders are usually shipped within 24 hours of receipt. For quality products and exceptional service levels, you've come to the right place! We have an Australia's biggest and best range of live aquarium fish as well as some of the worlds leading aquarium and pet accessories ready for our retail shop customers to order. Premier Pet is the only distributor in Australia's pet industry and is relatively unique in the world. They combine extensive knowledge of the live animals and the pet products that pet and aquarium shops require. The product categories include Live Fish, Aquatic product, Dog product, Cat product, Bird product, Small animal product as well as Reptile product. Premier Pet is the sole Australian distributor for internationally renowned brands such as EHEIM, JAGER, ARCADIA lighting, HBH fish foods, PRO PAC and Earthborn Holistic dog and cat foods, and TRIXIE pet products. We also have our own brand of Aquatopia aquarium product. WE ALSO RETAIL PAULS DOG FOOD AND BISCUITS. MANUFACTURER OF SUNBURST BIRD SEED MIXES\\r\\nSUPPLIER AND WHOLESALER OF POULTRY FEEDS, STUD MIX AND GRAINS SUCH AS, FEED WHEAT, HULLED AND WHOLE OATS, MILO, PANICUM, CANARY SEED, BLACK AND GREY STRIP SUNFLOWER, SAFFLOWER,BARLEY, WHITE FRENCH MILLET, RED PANICUM, CANOLA AND WHOLE AND CRACKED CORN.\\r\\nWE ALSO RETAIL PAULS DOG FOOD AND BISCUITS. Dr Neil's offers more than 3,000 quality product lines, and prides itself on having the best customer service in the industry. This is the meaning behind our slogan, 'Experience the Dr Neil's Treatment'. Join Dr Neil's to experience our treatment, which includes the best service in the industry from our Customer Service team and Sales Representatives, the peace of mind that comes from our quality products, our credit return policy and our proud history. Dr Neil's utilises a state-of-the-art computer system that is directly linked to our warehouse, meaning your order is assembled and distributed as soon as you place it. Established in 1904, Rudducks are distributors, manufacturers and exporters of quality products for dogs, cats, birds, aquarium and small animals. Australian distributors of leading brands such as Royal Canin, Kong, OSI, Dog Gone Smart, Sporn, Bamboo, Fatcat and Dynavet. Premium wood based litter, ideal for bottom of bird cages, all natural untreated pine, made from a renewable source, pine fresh smell, will stop the nasty odours, no dust, hygienic, highly absorbent, environmentally friendly. GFBS has avian enrichment toys that are both creative & innovative a long with products that are not offered everywhere. GFBS also offers the largest selection of made in the USA toys & products. And made in the USA parts on toys. Make your store a destination! The best way to keep your pet happy! All the benef its of other pet beddings in one ! This bedding is so good that it makes your pet just want to smile and play…all day long ! Queensland Nut'N'Fruit Distributors - your premium distributor for nuts, fruit, snacks and treats! Queensland Nut'N'Fruit Distributors (QNF) offer a full range of nuts and dried fruit to suit the bird breeder and enthusiast, available at SPECIAL prices! We deliver Australia wide, order & pay on line for fast delivery to your door. 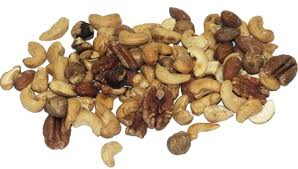 Aussie Raw Mixed Nuts Bulk Buy 5 kilos x 2 bags/carton = 10Kg ONLY *$5.10/kg. We deliver to all stores or to one address, and bill each store if required. To find out more about our great offers, please contact us, call or visit our website. QNF also offers a huge range of products, including gourmet nuts - try our Thai Sweet Chilli Cashews or Indian Chai Almonds! We also stock products from Nutworks such as Dark Chocolate Macadamias and the famous Coconut Ice. Our other products include a huge range of herbs & spices, roasted/salted or raw nuts, dried fruit, fruit & nut mixtures and snack products. Masterpet Australia is a nationally trusted and recognised brand, whose customer base includes Pet Shops, Produce Stores and Online Pet Stores. We have a huge range of Wholesale Brands (find them below!) for Dogs, Cats, Birds, Fish, Small Pets, Reptiles and more! Become a Masterpet customer today! Visit our Masterpet Business Website and register. ...and many more great features! At Allstock we source products from a range of quality suppliers and we're always on the lookout for a great deal. We supply wholesale the prestigious Troy Pet and Horse Products as well as a full range of Dog, Cat, Horse, Bird and other animal products. Queensland Spray Millet provides a healthy, nutritious, pleasantly sweet-smelling product to support your bird’s good health. Queensland Spray Millet is grown on fertile, mineral-rich soil, which produces a nourishing bird food. Queensland spray millet is handpicked and sun-dried to ensure our customers birds receive a Premium Spray Millet to feast on. It is carefully packed and stored in a controlled environment which enables Allora Downs to keep the spray millet harvest fresh. Birds are very sensitive to what they eat. Our product is 100% millet. No additives or preservatives, and unlike imported millet which must go through fumigation treatment before being sold in Australia, ours is picked and packed without any further treatments. Queensland Spray Millet is a superior spray millet that your birds love and thrive on. Queensland Spary Millet grows both Panorama (Foxtail) millet and French Millet. Premium: High quality millet, hand picked & sorted to ensure the best for your pet. Breeders: All the goodness and grain of our premium, but the millet has had some sunburn or wind damage. This product is exceptional value for money. Minis: Small size millet (5"-7" long). great for smaller birds and minimises wastage. Limited stock! Established in 1958. Australia's largest manufacturer of pet products with over 300 lines. Exporting to over 20 countries. We welcome enquiries for contract manufacturing with your own label on the packaging. *There are currently 803 people online.